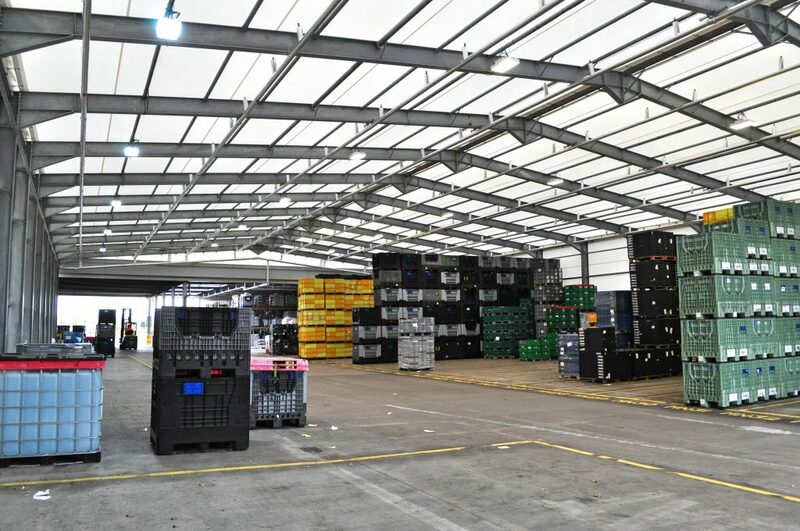 Leading automotive plastic component supplier Nifco UK called on Rubb to design and construct a custom storage building solution. Nifco UK is based close to Rubb in Stockton-on-Tees and has been in business since 1967, formerly known as Elta Plastics Ltd. Nifco is a global company employing over 10,000 people in 17 countries. The company specialises in designing and manufacturing plastic components for the global automotive industry, which are used in the interior, exterior and engines of vehicles. 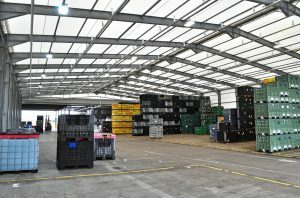 Rubb supplied Nifco UK with a custom designed structure to maximise available space. 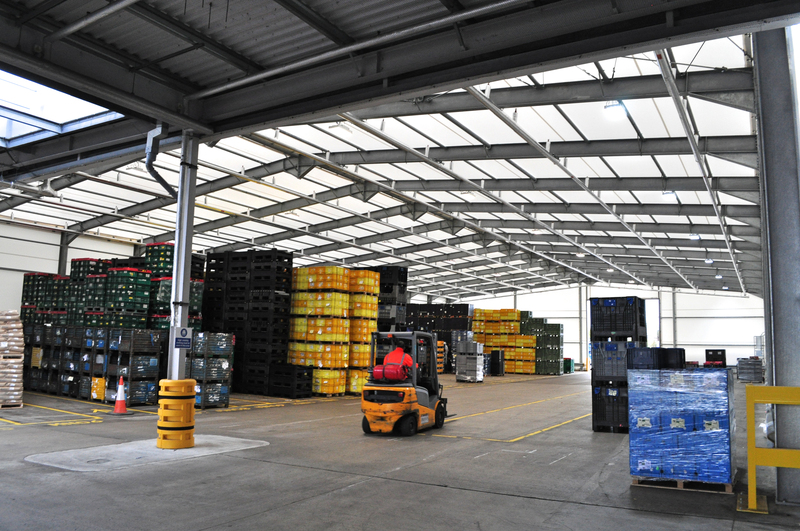 The storage warehouse measures 28.3m wide x 48 long with an eaves high of 6.5m for the clearance of lorries and internal racking units. The building was also designed with two fire access doors and a guttering system. With the building construction being so close to an existing canopy, the Rubb team had to make sure the space in between the buildings was weather tight, with a PVC fabric, sealed termination cover. The steel frame of the building is hot dip galvanized after production to eliminate any chance of corrosion. The frame comes with a 25-year warranty and the PVC coated, light weight fabric cladding requires very low maintenance and comes with a manufacturers’ warranty of 10 years. 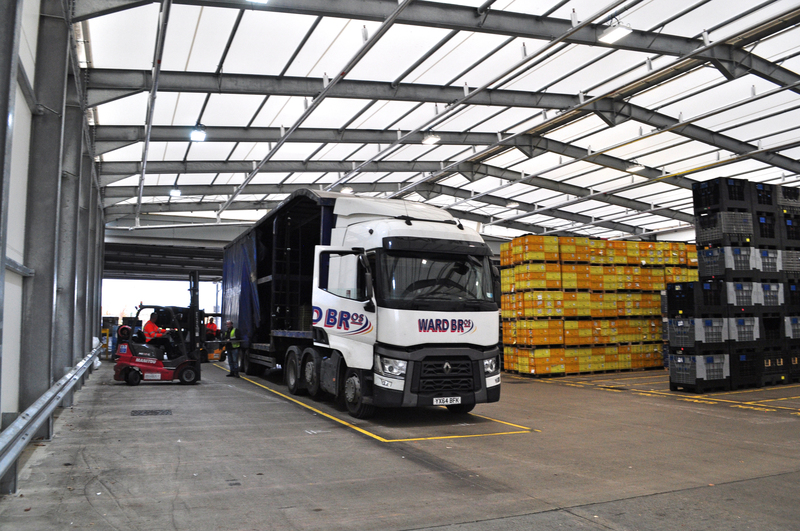 While constructing the new Rubb storage facility, the team worked around the normal day-to-day running of the Nifco business. 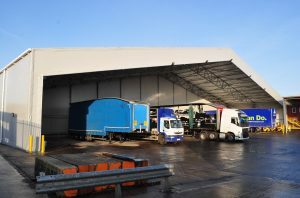 As well as serving as a pallet storage facility, the building has two 6m wide x 6m high openings at each end to accommodate the entrance and exit of the transport through road. 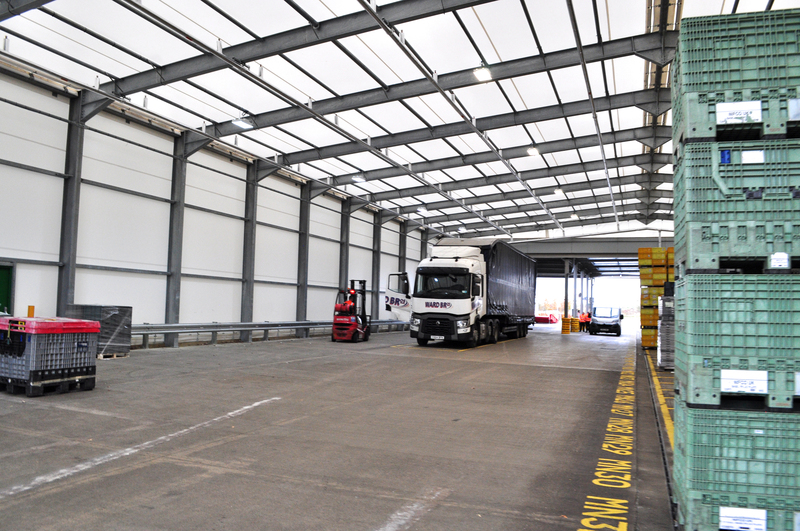 As the structure was being built across a busy area of the business, the Rubb team needed to adapt the building plan to fit in with working hours and area usage to cancel out any downtime.